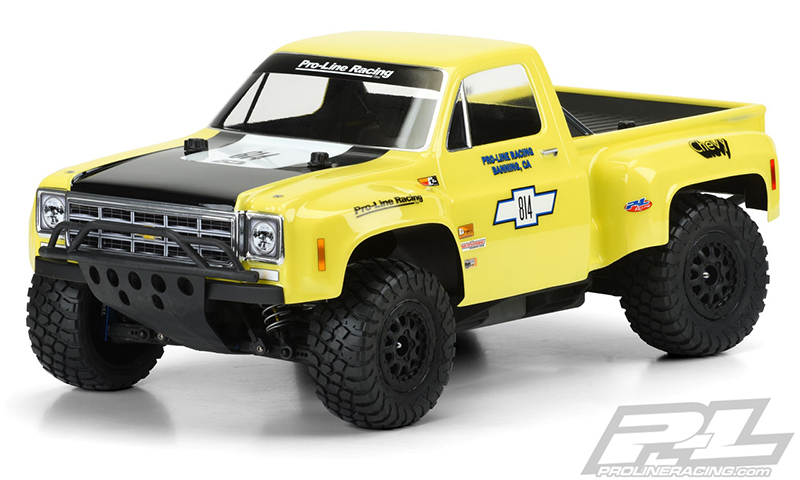 Pro-Line certainly created a hit here, take a look at their all new Pro-Line Racing 1978 Chevy® C-10™ Race Truck Clear Body for Short Course use. 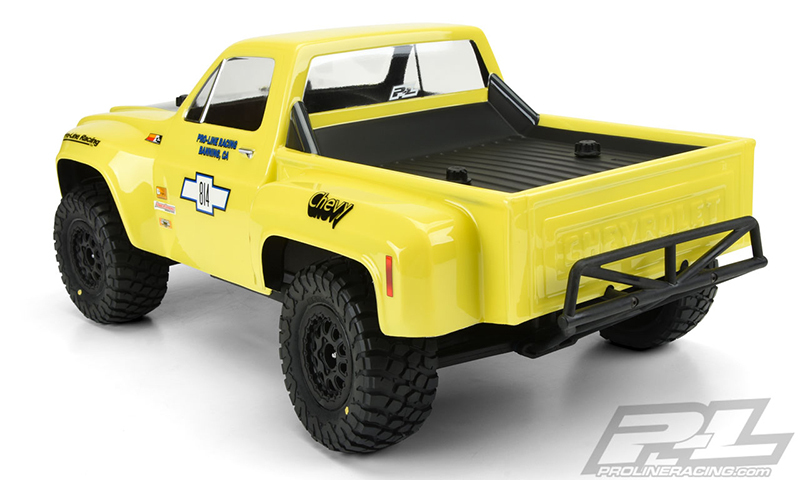 Pro-Line’s C-10 step-side classic truck body features large, full race fenders and styling that will separate your truck from the rest. 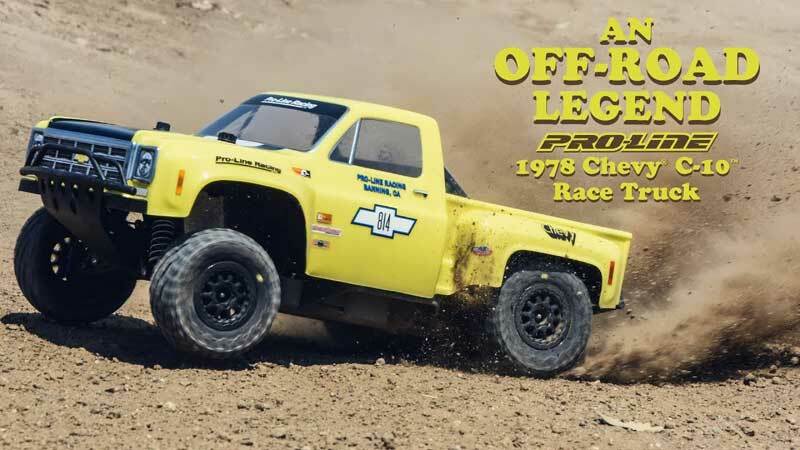 This well-known and recognizable truck body style won many desert races in the mid to late 70’s and was driven by off-road legends Parnelli Jones, Rick Mears and Walker Evans making it the ultimate dream truck to many race fans. The body includes fully licensed Chevy® grill, headlight and taillight decals to complete the look. 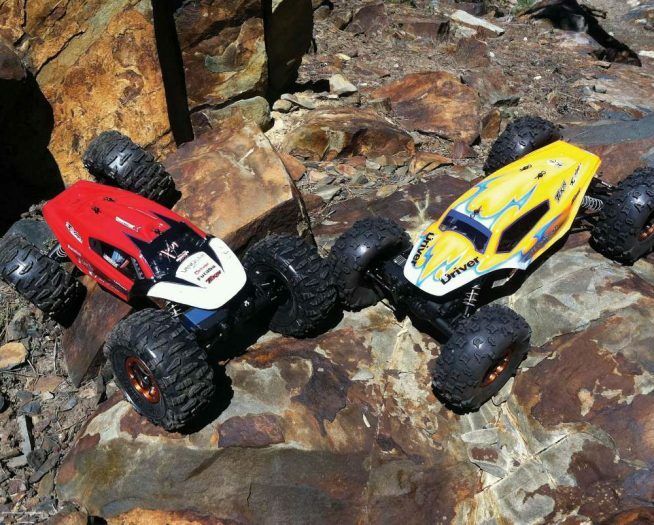 Give your Short Course Truck the tough look it deserves with Pro-Line’s new Chevy® C-10™ body!